What is the full form of SCS? SCS is a tetrode. It is also called Four Electrode Thyristor. 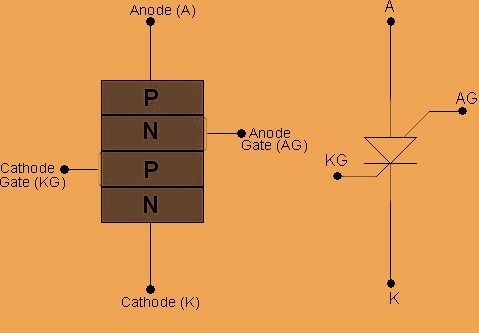 It has two gates, one anode gate like a PUT terminal and another cathode gate (KG) like an SCR terminal. You also know the full meaning of SCR.